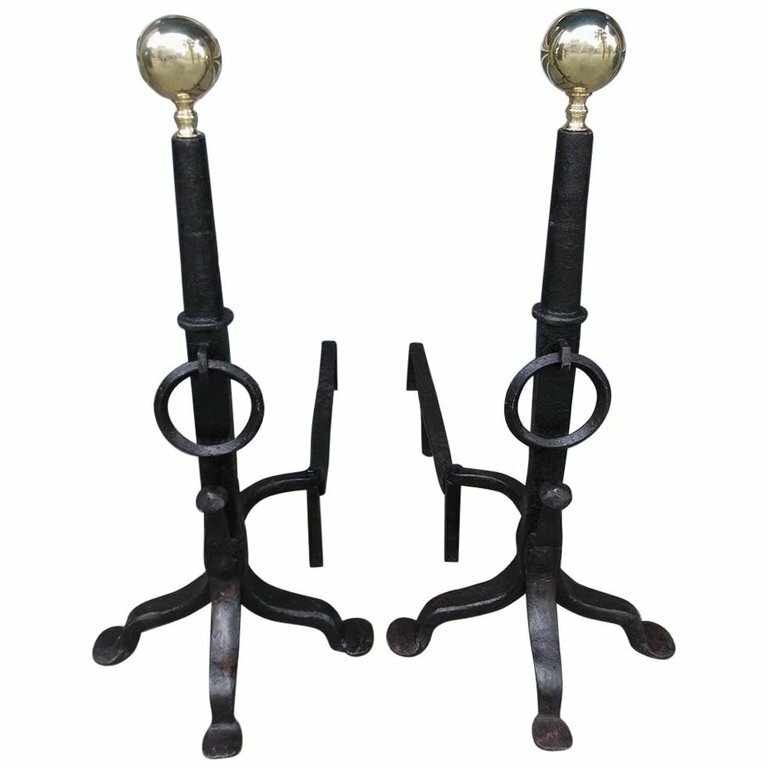 Pair of American wrought iron and brass ball top andirons with circular turned ringed columns, decorative centered rings, flanking spit hooks, curvature dog legs, and terminating on scrolled tripod penny feet, Early 19th century. Centered columns were originally used as horse drawn carriage axles and dog legs can be adjusted to desired depth at no additional cost. H 32.5 in. x W 16 in. x D 39.5 in.